One year has past since this game was first shown off at E3 2010. A lot has changed in that time with the game undergoing a major revamp with an emphasis on tactical command and research into new technology being given a new emphasis. 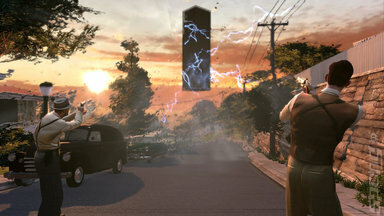 Taking place in 1962, the game places the player in the role of Special Agent William Carter. He has been charged with countering an alien threat known as 'The Outsiders'. These beings are actually living machines that are seeking to turn the earth into a place that is somewhat more habitable for them. Sadly this doesn't do much for its existing inhabitants. i.e. us, so a conflict rages across early 60's America to prevent the Outsiders' plans coming to fruition. 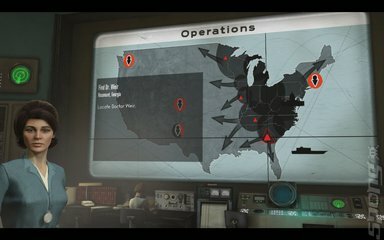 The setting is a deliberate design choice for the team as the atmosphere of a major culture change with the civil rights movement making a stand and the impending Cuban Missile Crisis coming to the fore, what better time to have an alien invasion? 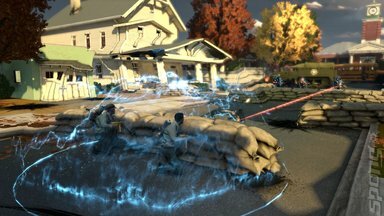 The management team within 2K Marin, the Australian developers of the game had strong feelings about how the game lacked the original XCOM concepts of tactics and scientific research. To address these concerns, the developers have added a new squad based mechanic that allows players to reduce time to a crawl during the action and issue commands to their team mates. The player is offered a pool of action points that allows them to give orders within a limit pool of resources. The cost of actions can be reduced by using technology or levelling up characters within the game to enhance their ability to fight. With regards to scientific progression, it is possible to capture alien technology and use it against the Outsiders. This can be done by either taking it and using the technology as raw material back in the lab or using the same device that was used against the player and turning it against the Outsiders. By doing so carries with it the risk that the material that was used to make it is lost and therefore cannot be used to progress with research. This was demonstrated a few times during the demo with a turret being turned on a host of Outsider forces. Graphics and audio are very period based, as well as a little comic book like. The 1960's being portrayed in the game is an idealised one and does well to set the tone of the game. The music and spot effects do much to enhance this perception. It would appear from this demo that 2K Marin have done a lot of soul searching and taken a lot of things back to the drawing board. 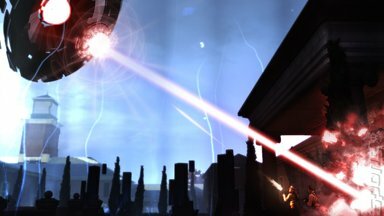 Every 'sacred cow' has been examined and re-worked to make XCOM a much more appealing prospective title that many previously has thought.